OK, as to linked racks… I get that they are persistent across songs in a set list. But are they persistent across set lists without constantly exporting them to update them with changes I’ve made? So for example I make a set list for April 14, import linked “Pad Rack” and use instruments in that song. Then I make a set list April 21, import linked “Pad Rack” and decide to add a new instrument to that rack. If I go back and open April 14’s set list and open a song with Pad Rack will it have that new instrument or would I have to first export the changes I made in the April 21 set list? Linked racks are simply files very much like song files - they contain references to plugins (not the plugins themselves), plus the “memory blob” of these plugins, including Cantabile’s plugin presets. and of course the routing and plumbing to connect everything. Linked racks are again referenced in songs: the content of these racks is not stored with the song, but just a reference of the rack used and its rack state and some other parameters. A linked rack is NOT imported in a song (unless you convert it to an embedded rack); when you add a linked rack, it stays its own self-contained file. This also means you must save changes to the rack when you make some. Racks are also never used in a set list directly - a set list contains SONGS, that again use plugins and racks. A set list is also just a set of references to song files; the song files aren’t contained in the set list file. So if a song is part of several set lists, any change you make to the song is part of the song file; these changes will then apply to the song in all set lists that use the song. Hope this makes things somewhat clearer. It is on these fora that I learned the trick of creating racks for incoming keyboards that split off the incoming messages into notes, sustain, modulation, pitch-bend, controllers, etc. Using this method you can assign anything to anything, and give yourself ultimate flexibility - like not having to worry which keyboard a sustain pedal is physically attached to, for example. If there’s one thing I wish I’d understood right from the start it is this. The guys here have been over it several times, so try a search or three. If you can get your head around this it will save you lots of pain in future! The other trick is to use Symbolic Links to allow you to use a rack multiple times within a song. Another life-saver. I’m certain there will be other tricks I’ve not yet come across, but these specific examples turned Cantabile from being a mountain to climb to being a Sherpa to carry the weight! 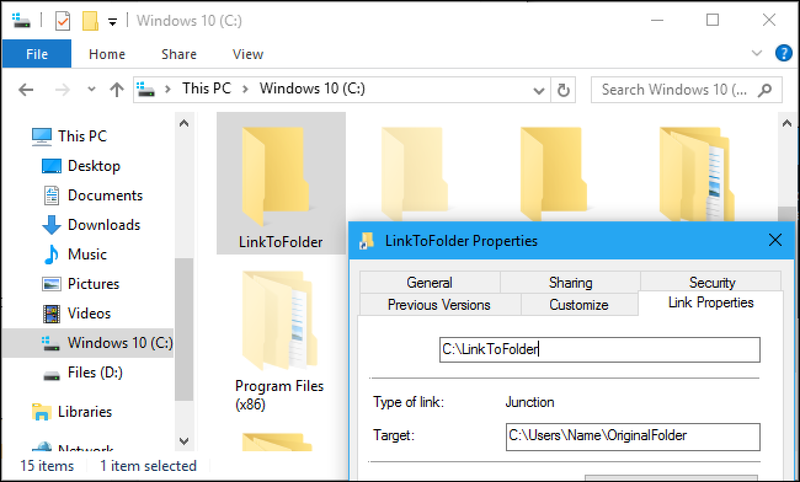 Windows 10, 8, 7, and Vista all support symbolic links—also known as symlinks—that point to a file or folder on your system. You can create them using the Command Prompt or a third-party tool called Link Shell Extension. Thanks, @Torsten that helps. The reason why I need to know some of the deeper functionality is because if I don’t, and work through setting up favorite patch banks, racks, etc. without that knowledge then months in I fear I’d have to do a ton of rework. Instead, I prefer to understand the structure initially, find out what seasoned folk like you do in your setups, and build to a standard that I won’t likely need to rebuild anytime soon. Yeah, that helps, thanks @Torsten. When I want to build a new rack from an existing one I’ve used this idea; created an embedded rack by bringing in a linked rack file… then making changes as I wish, exporting to a new rack file. Sometimes easier than creating a new rack from scratch. I guess it’s probably even more expedient to just make a physical copy of the existing rack file, then bring it in as a linked rack and make changes.